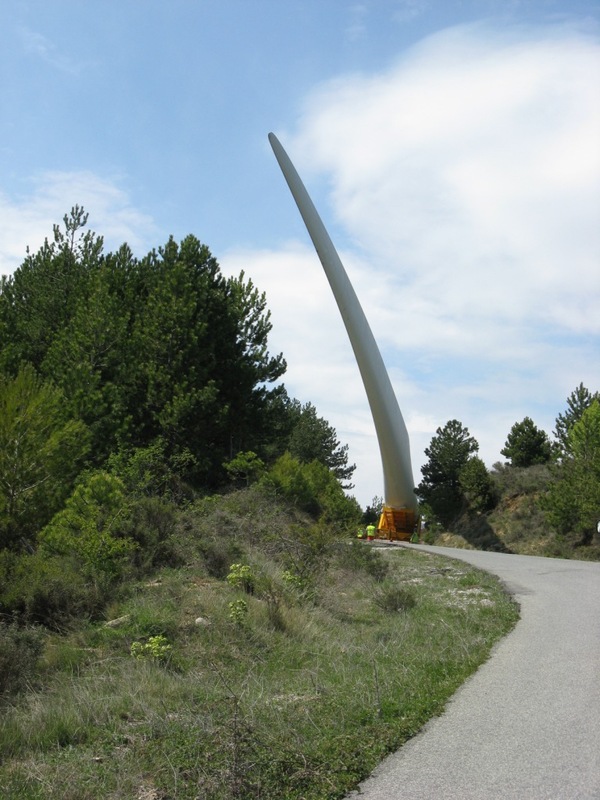 A fundamental aspect in the wind blades design is the choice of the correct materials, because several parameters (weight, load and fatigue behaviour, physical properties, etc.) are influenced by this basic decision. 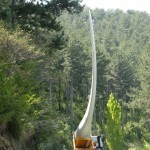 Several years ago materials as varied as wood, steel and aluminium where used to produce wind blades. 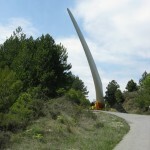 The first wind blades where made using wood, a low cost, low density material with a good resistance to fatigue. However, wood has a strong anisotropy and a huge potential variation of his properties, together with a notable tendency to water absorption that can lead to a reduction of resistance. 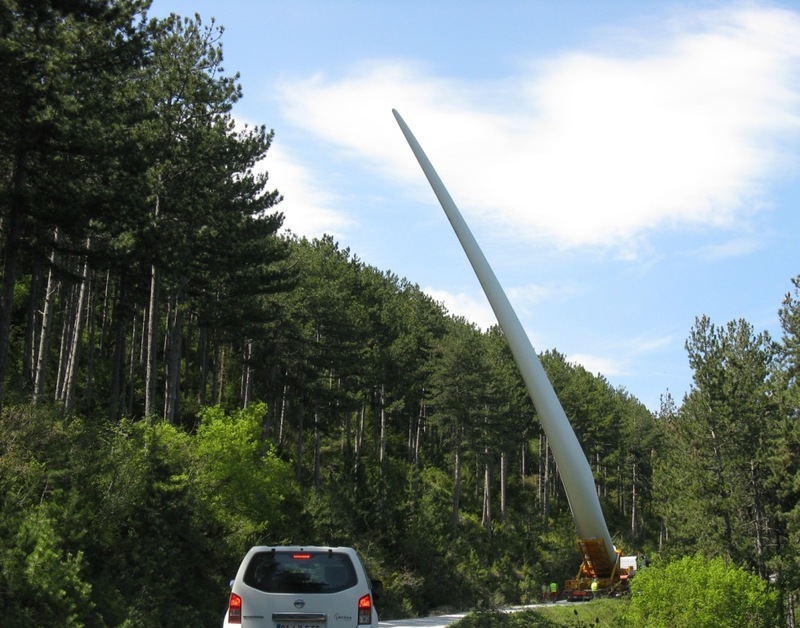 NASA MOD-0 prototype (a 38 metre diameter downwind two-bladed rotor developed in 1975) was initially made with aluminium blades, but soon due to structural problems wood blades were installed. 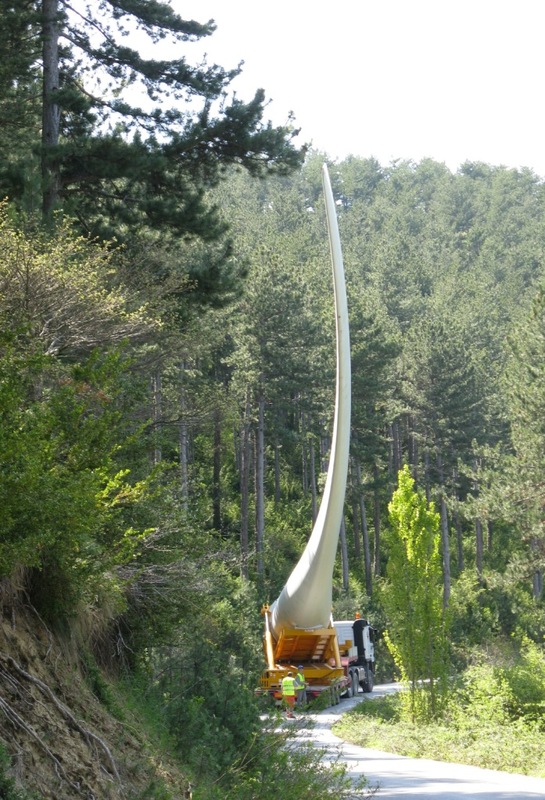 Wood was used in the 80’s in small (< 10 m.) blades, and can be still seen today as part of composite materials together with epoxy resins. 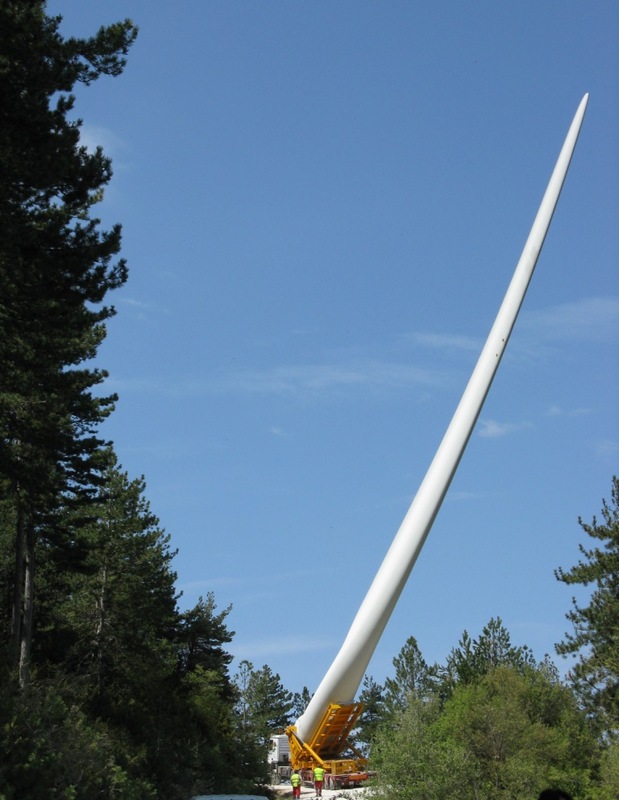 Steel was used in the first years of the 80’s in turbines as Growian ("Große Windkraftanlage" – big wind turbine), a Goliath for his times with steel spars and fibreglass skin. The structural properties of this material are exceptional, while the main drawback is its elevated density, leading to an increase of inertial and gravitational loads. Aluminium was the initial choice for the MOD-0 prototype. 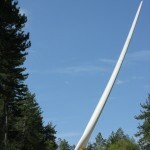 Blades were developed by Lockheed, but were removed do to problems at the root caused by the rapidly changing loads (the WTG was downwind). It has a low density and a good resistance to corrosion, but a low fatigue resistance. 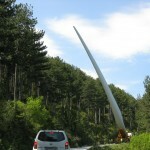 It has been traditionally used in vertical axis wind turbines. Today, the materials commonly used are fibreglass polyester and fibreglass epoxy (called GRP, glass reinforced plastic). GRP was previously used in the naval sector: among his advantages, good structural and fatigue resistance, fabrication versatility. Other interesting physical properties of this material is that it has a low electrical conductivity (useful if the blade is struck by a lightning). The evolution of the sector is leading to the introductions of new materials, as Kevlar and carbon fibre (CFRP, carbon fiber reinforced plastic) which are lighter but still too expensive for mass production. 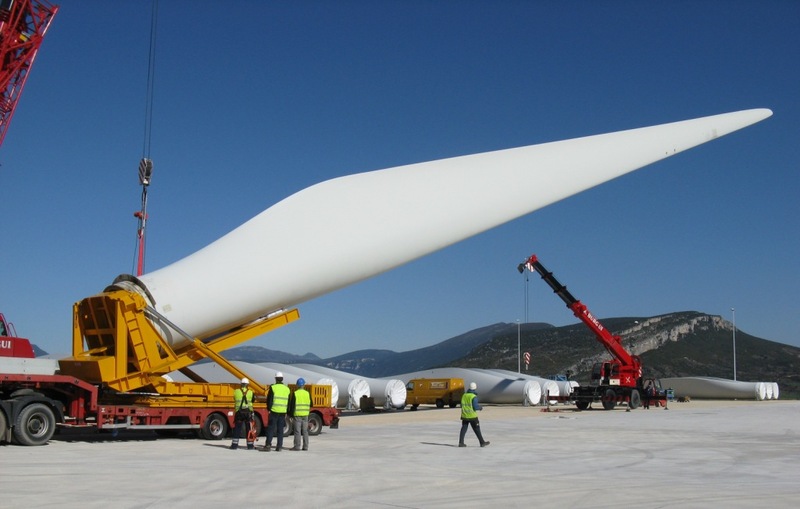 It must be observed that several variables influence the choice of the materials: cost, weight, resistance, number of blades of the rotor (3 blades WTGs with fixed hubs are more robust than 2 blades WTGs with tilting hubs). 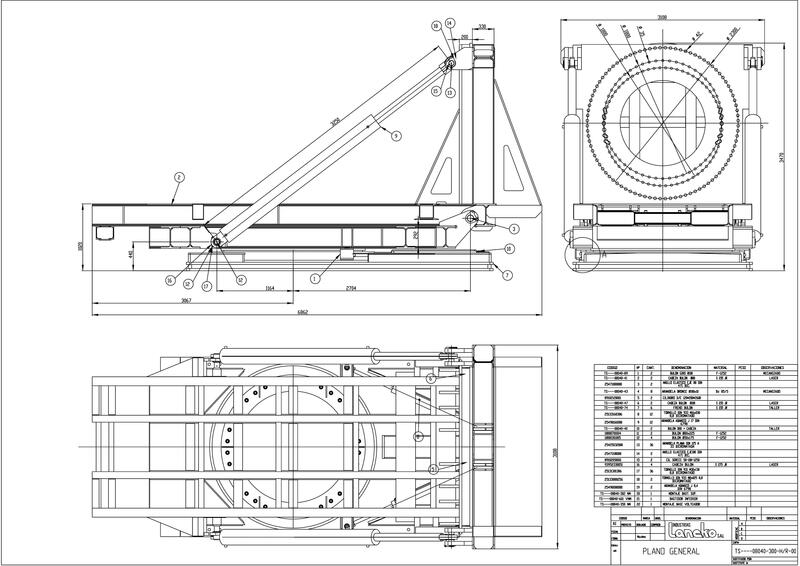 An important parameter is the specific weight, the relation between the weight of the rotor and the swept area (in kg/m²). 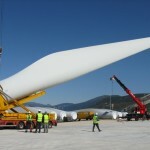 Big manufacturers such as Enercon, Vestas, Gamesa, etc. produce blades by themselves, while others buy blades produced by specialized manufacturers on the market. 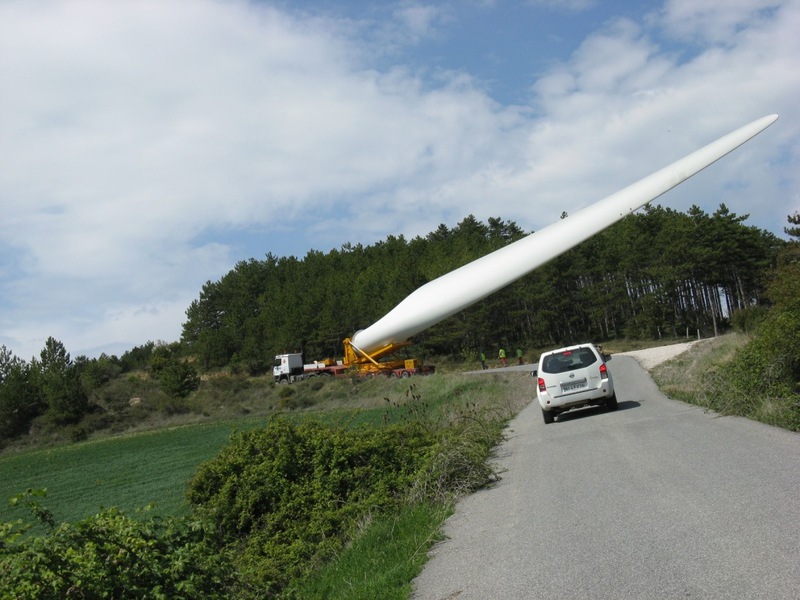 This is a blade special transport system that I’ve seen used by Enercon, for instance for Europe highest wind turbine in Europe, in Switzerland, but is not so common otherwise. 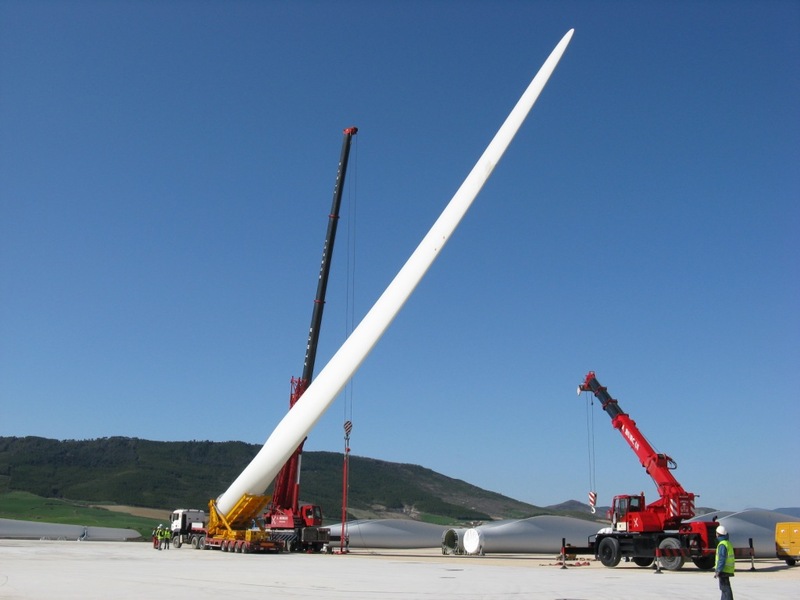 It is a hydraulic lifter, which allows lifting the wind blade up to approximately 45º. 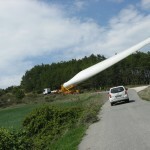 Doing so it can guarantee important saving on the civil works, above all in mountainous areas where important earthworks have to be realized to reach the wind park. 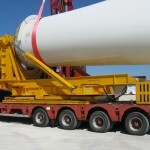 It has to be used together with a 5 axle low loader, and its price is around 100.000€. 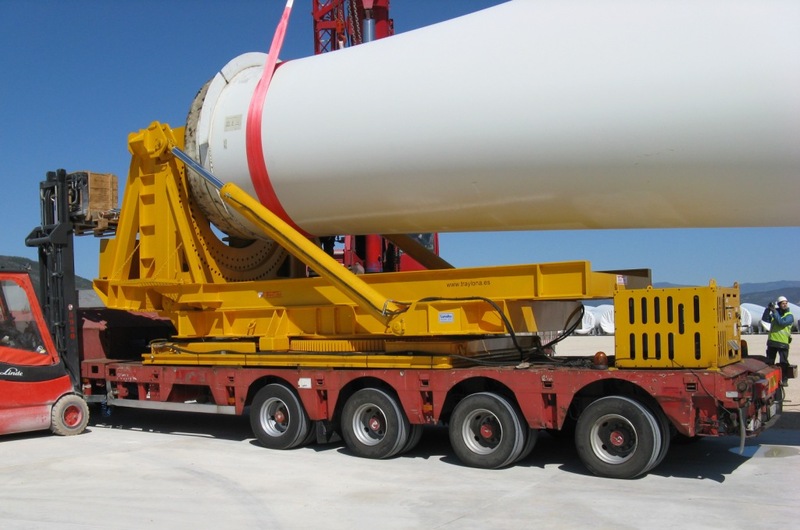 The biggest problem is that in many countries it couldn’t be used on the public roads, due to restriction the maximum height of the load (around 5 meters). By the way I guess that special permit are granted in some countries (for instance I’ve seen several picture where this solution was used in public roads in Germany and Switzerland). 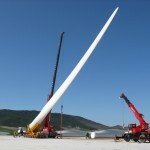 In very complicated wind farms blades and sometimes other components are carried by helicopters – an expensive solution, to be used only as “last option”. 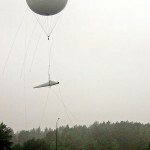 What I’ve discovered today is that a balloon was used by CL CargoLifter to carry the blades in a small scale test made for Nordex at the former airport of Neuhardenberg using a 9 meters balloon on December 2007. 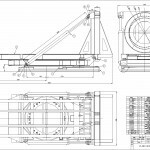 CL CargoLifter GmbH & Co. KG is company founded by former Cargolifter AG shareholders - Cargolifter AGfiled for bankruptcy in 2002, trying to develop an "Air Crane" to carry bulk load flying. 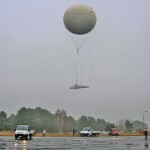 The balloon was filled with almost 300 cubic meters of hydrogen in nearly 90 minutes, and clinged at a winch. After the test, the balloon was quickly deflated, in only 5 minutes. 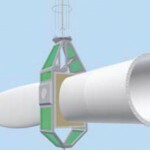 According to their study, a 40 meters diameter balloon is needed to lift a mounded rotor with 3 blades.